Whenever I engage in conversations mentioning rewilding, things tend to go in broadly three possible directions: if I am talking to a scientist, there is a good chance that I will get a full lecture on why rewilding is actually a rebranding of restoration that carries little novelty for management and conservation (although thankfully not all scientists think this way, otherwise the prospect of publishing a scientific book on rewilding would have been dim!). If I engage with a member of the general public who primarily lives and works in urban area, chances are I will hear about the book “Feral”, the need to reconnect with nature, the beauty of the wild and the destructive nature of humanity. And if I get the opportunity to interact with a farmer about rewilding, I will most likely be reminded of the alienating and toxic nature of the concept, and its likely roots in eco-colonialism. Now as an ecologist who is very much interested in conservation, I simply had to get curious about a term that carries so much emotional baggage and polarised visions about how to move forward with environmental management. 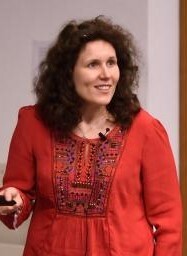 That curiosity ultimately motivated me and my colleagues to put a book together on rewilding, as we realised that there weren’t any existing books that comprehensively and inclusively introduced the concept, acknowledged its human dimension, and exposed the reader to both theoretical and practical considerations. Rewilding, like the wild, indeed means different things to different people. Scientific debate on rewilding has been raging for years now, with competing schools of thought promoting different approaches and definitions. 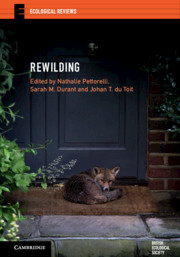 Like my two co-editors, Johan du Toit and Sarah Durant, I wasn’t really interested in narrowing the narrative of this book to ideas I support; instead we really wanted our book to illustrate a diversity of points of views, while addressing rewilding with a global perspective and placing it in the context of social-ecological systems. What we aimed for was to provide sufficiently distinctive and broad perspectives for the reader to get a better understanding of what rewilding is; what it isn’t; how it could be implemented; and what the challenges ahead will be. 37 colleagues from 12 different countries joined us on the adventure of creating this edited volume. Conversations and replies to reviews have sometimes been passionate, but overall it has been an absolute pleasure to work with these experts and an overall enlightening experience for the three of us. We especially valued their willingness to explore ideas from multiple perspectives, combining their experiences and expertise to produce an inclusive and representative overview of where current thinking on this topic sits. I hope our book helps bring clarity about rewilding and cohesion among people who ultimately all care about biodiversity, and the rapid loss of it. I do believe the series of chapters we have brought together offers solid foundations for scoping the need for scientific evidence and the required policy shifts. Interestingly, these chapters unequivocally call for increased collaboration between biological sciences, social sciences, and economics to help set rewilding as an effective conservation approach.